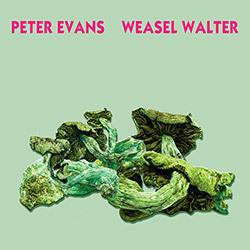 "Poisonous" is an auditory hallucination created with simple tools--acoustic trumpet and drums--from NY free improvisers Peter Evans and Weasel Walter, presenting seven pieces of forceful, modern abstraction, blurring the lines between composition and improvisation in a display of impeccable technical skill, mindboggling energy, and wonderfully twisted inspiration. 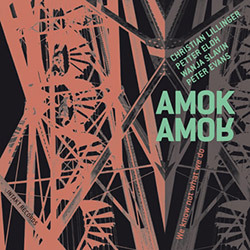 An edgy, technically spectacular, inventive and slightly twisted jazz quartet of German-based free improvisers Christian Lillinger (drums), Petter Eldh (bass), Wanja Slavin (sax), with NY trumpeter Peter Evans (Mostly Other People Do the Killing) on trumpet, for 9 innovative compositions that thrill, amuse, and keep you on the edge of your seat. 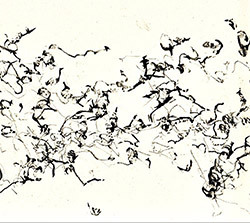 Collecting John Zorn's recent compositions from 2013-2016, with the stellar assistance of performers that include Peter Evans (trumpet), Tyshawn Sorey (drums), Christian McBride (bass), presenting 9 works connected by a twisted and complex story of a magical descent into madness. 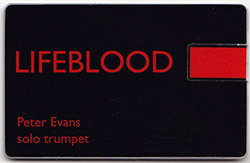 Trumpeter Peter Evans' first solo release in over 5 years, presenting two demanding and impressive live performances from 2015/16, during Evan's residency at Roulette, and at Bop Stop in Cleveland, presented on a USB credit card drive in mp3 and wav formats, with liner notes. 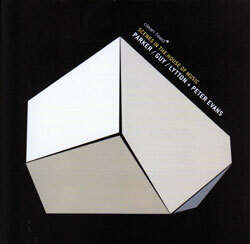 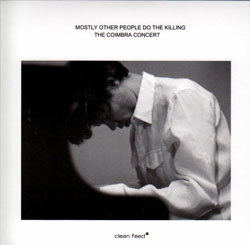 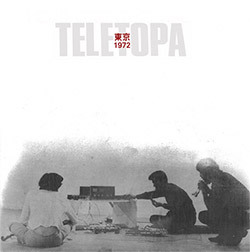 The 1972 recording at a Tokyo radio station of the forward-thinking improvisation of David Ahern (violin, percussion, electronics), Roger Frampton (percussion, electronics, saxophone), Peter Evans (percussion, electronics) and Geoffrey Collins (flute, percussion electronics). 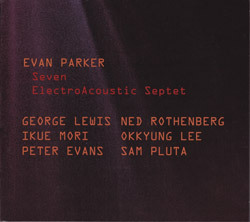 UK multi-reed master Evan Parker brings an all-star electroacoustic septet to the 2014 Victoriaville Festival for the massive and wonderfully detailed two part composition "Seven", performed with Peter Evans, Okkyung Lee, George Lewis, Ikue Mori, Sam Pluta, and Ned Rothenberg. 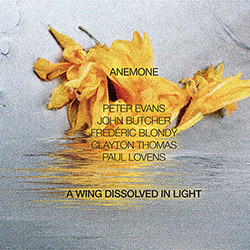 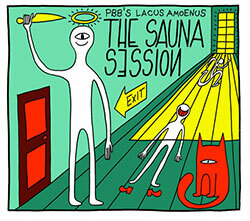 Piero Bittolo Bon's Lacus Amoenus featuring the leader on reeds & electronics, Simone Massaron on guitars, Glauco Benedetti on tuba, and Tommaso Cappellato on drums, is joined by trumpeter Peter Evans for an album of transatlantic improvisation of great dexterity and humor. 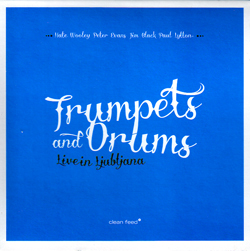 Two drummers - Jim Black & Paul Lytton - and two trumpeters - Nate Wooley & Peter Evans - came together at the 53rd Ljubljana Jazz Festival to record these extended improvisations, demonstrating the phenomenal skill and compatibility of these outstanding players. 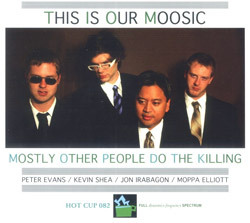 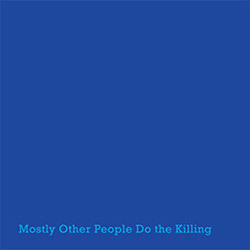 Peter Evans, Jon Irabagon, Moppa Elliott, and Kevin Shea in a double disc set performing live during the 2010 Jazz ao Centro Festival; killer and twisted beyond bop modern jazz! 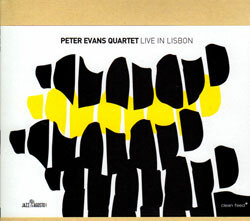 The classic European Free Improv trio of Evan Parker, Barry Guy and Pual Lytton is joined by New York trumpeter Peter Evans for an incredible live concert at Casa de Musica, Portugal. 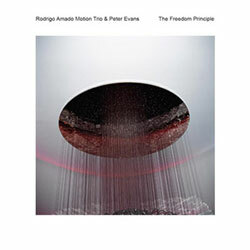 Trumpeter Evan's Quartet with Ricardo Gallo, Tom Blancarte and Kevin Shea at the 2009 Jazz em Agosto Festival brilliantly restructuring jazz standards into collective compositions. 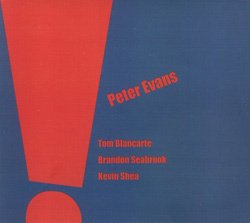 NY trumpeter Evans' 1st recording as a leader with guitarist Brandon Seabrook, bassist Tom Blancarte & drummer Kevin Shea, mixing 50-60's jazz and noise in wild and kinetic free improv. 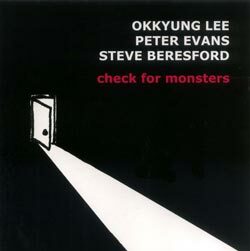 Cellist Lee organized this trio with Evans on trumpets and Beresford on piano for a mini-tour; this CD showcases music from concerts in NY and Philadelphia. 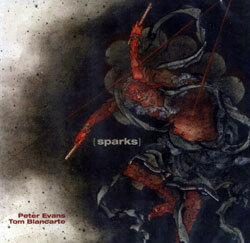 NYC trumpeter Peter Evans and bassist Tom Blancarte play very experimental improvisation pushing the boundries, density and speed of free improv interaction.